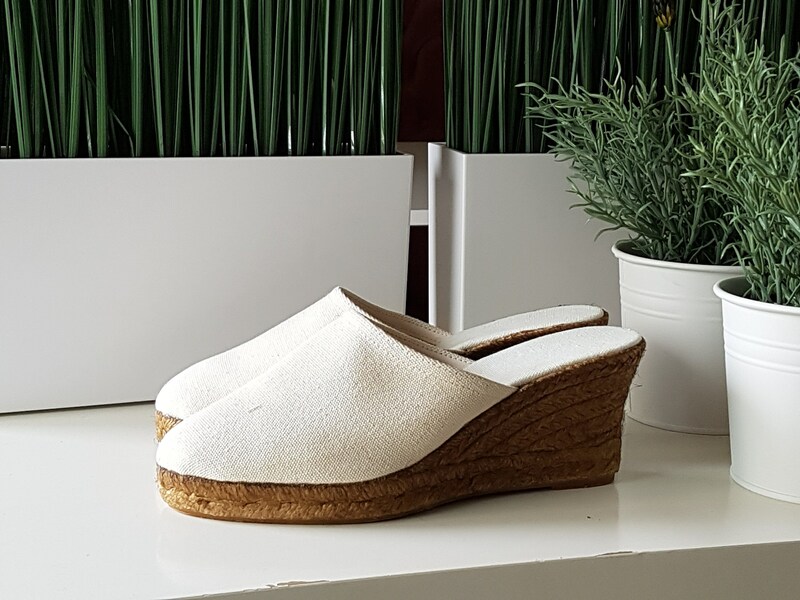 Jute sole espadrille clogs (7cm heels = 2.76 inches) in IVORY CANVAS. 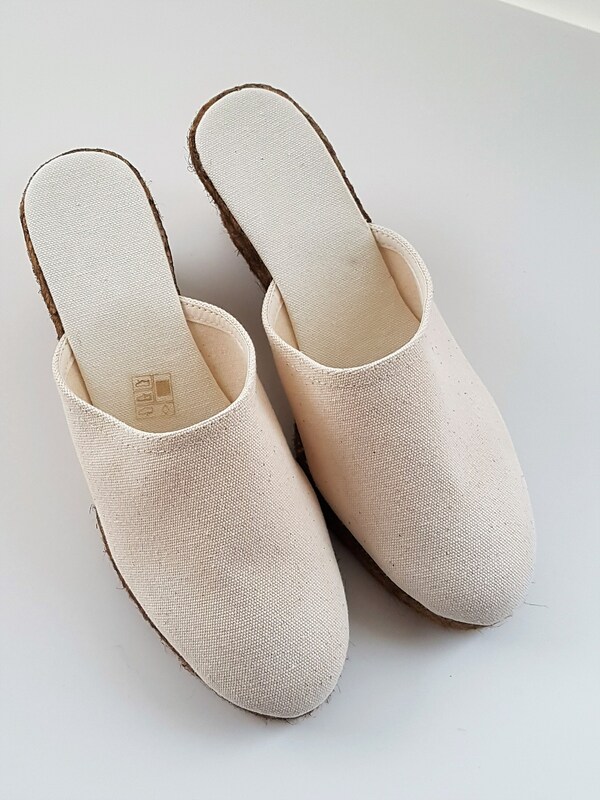 Handmade in Spain with traditional techniques. Super comfy! 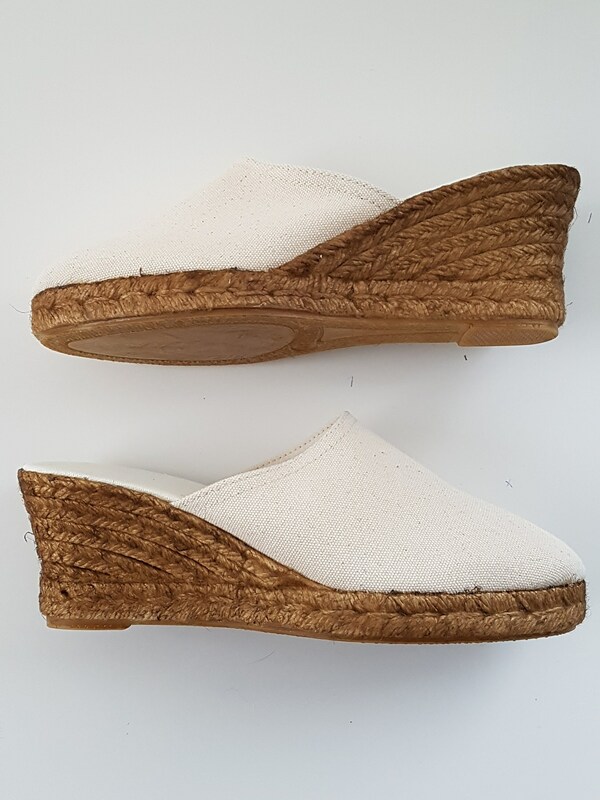 The sole is covered in antislippery rubber. VEGAN.